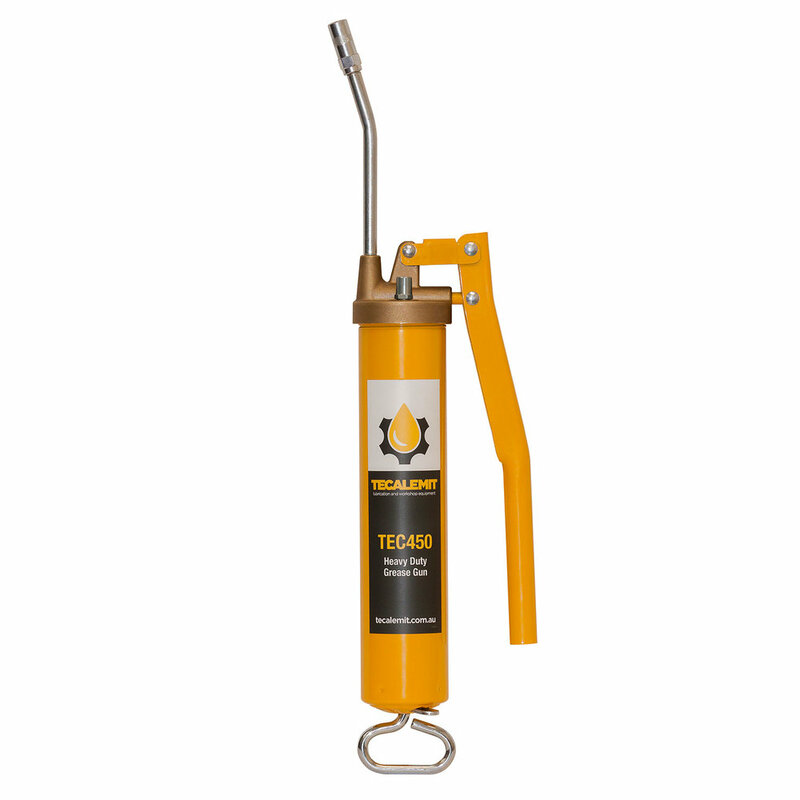 The Tecalemit heavy duty, high pressure lever action grease gun features a forged brass head and precision ground piston which completely eliminates the need for unreliable o-ring seals. The body barrel features a coarse machined thread which reduces the risk of cross threading. Suitable for use in underground applications, quarrying equipment, transport, heavy engineering, farm machinery and automotive workshops.